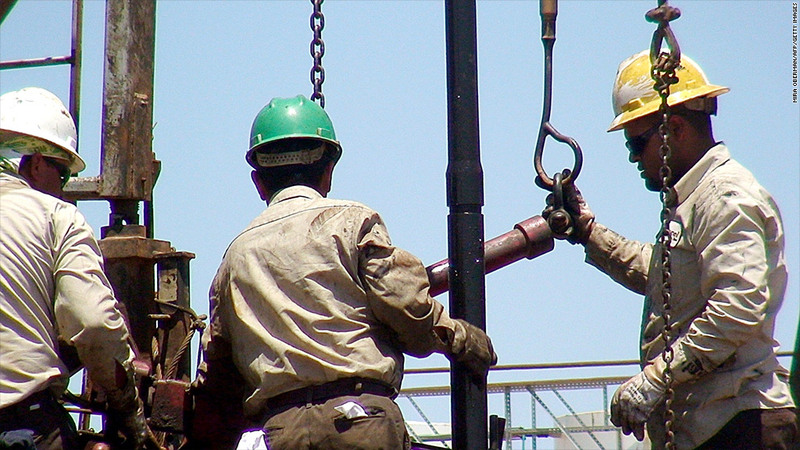 Oil workers on a rig in Midland County, Texas. Growth in U.S. oil production is putting pressure on OPEC. Surging U.S. oil production and greater energy conservation are helping keep a lid on oil prices worldwide and may be limiting the sway OPEC holds over world markets. U.S. oil output rose by 14% in 2012, BP reported last week in its annual statistical review. The million barrel-per-day jump in output was the largest increase for any country in 2012, and the fastest single year increase in U.S. history. "The tidal wave of oil coming out of the United States helped to [quench] the market's thirst," said Blake Clayton, a Fellow for Energy and National Security at Council on Foreign Relations. "Tremendous increases in energy efficiency in the United States and Europe are helping to soften the market." Though currently teetering close to the $100-a-barrel mark, oil prices have not crossed the $100 line in over a year. This isn't to suggest OPEC is irrelevant -- the cartel still controls the vast majority of world oil reserves. But "OPEC's ability to keep prices at today's levels could come under tremendous pressure," said Clayton. "There is no guarantee that the triple-digit oil prices of the last few years will be the new normal in the decade to come." 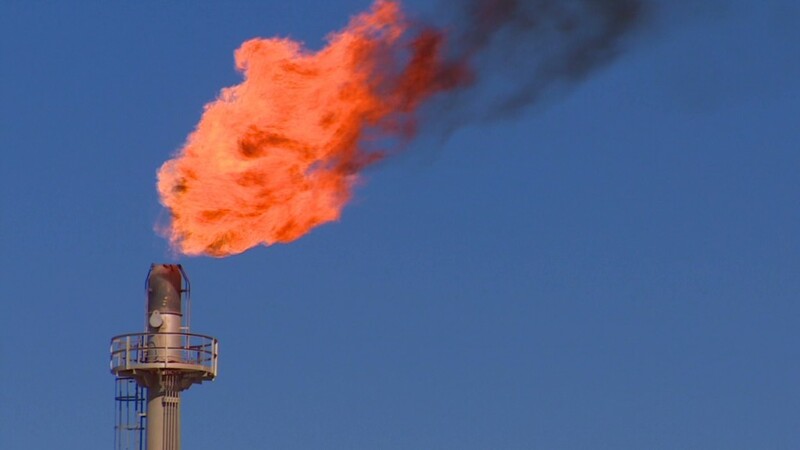 While OPEC may be able to cut production and prop up prices in the short term, "over the longer-term a loss of pricing leverage is becoming more probable," Greg Priddy, an oil analyst at Eurasia Group, wrote in a recent research note. Beyond the rapid growth in U.S. oil output, the supply from OPEC producers such as Saudi Arabia, the United Arab Emirates and Qatar also hit a record. Libyan production recovered strongly after a sharp drop in output during the country's civil war. In the United States, the sharp growth in oil production mainly came from Texas' Eagle Ford Shale and North Dakota's Bakken Shale. Since 2008, the widespread use of hydraulic fracturing, or fracking for short, has helped tap oil from previously inaccessible shale formations. The technique is controversial -- some fear it is contaminating the ground water and leading to other environmental problems. But it has contributed significantly to the economic boom in many parts of the nation. Spurred by oil development, North Dakota and Texas topped the nation's fastest-growing states last year, according to a recent report by the Department of Commerce. Communities throughout the states are benefiting from the energy boom. South Texas -- formerly one of the poorest areas in the country -- saw $61 billion in direct and indirect economic activity, and supported nearly 120,000 full-time jobs in 2012, according to a recent study by the University of Texas at San Antonio. Nationwide, oil and gas contributed nearly $238 billion to the U.S. economy in 2012. Oil and gas production currently supports more than 1.7 million U.S. jobs, and is projected to support nearly 3 million jobs by 2020, according to the consultancy IHS. Conservation is also helping stabilize the price of oil. Global oil consumption grew by 890,000 barrels per day in 2012, or 0.9% -- which is below the historical average, according to the BP report. Oil had the weakest global growth rate among fossil fuels for the third consecutive year. "Consumers around the world are over reducing the amount of money they sink into fuel, simply due to pain at the pump," said Council on Foreign Relations' Clayton.